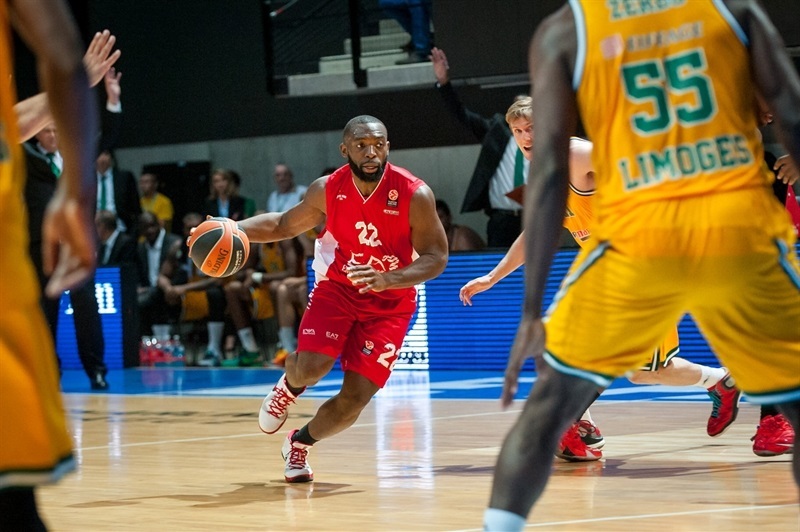 Limoges CSP got back into the Top 16 race from Group B by holding serve at home with a solid 74-65 victory over EA7 Emporio Armani Milan on Thursday. The hosts are now 2-3 at the halfway point of the regular season, while Milan fell to 1-4. Limoges took over with a 20-9 second quarter and kept Milan comfortably at bay the rest of the way. 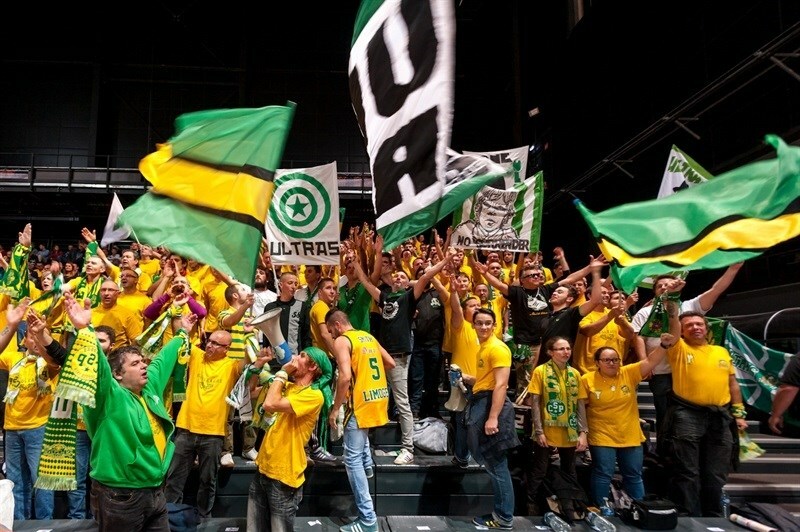 The winners got 18 points from Nobel Boungou-Colo, 15 from Ali Traore and 14 from Heiko Schaffartzik. 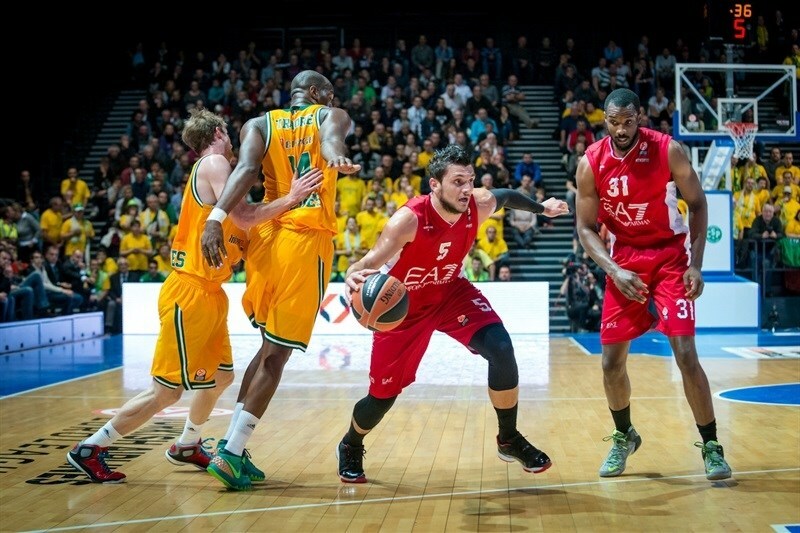 Alessandro Gentile had 19 points to lead Milan while Jamel McLean added 10. Despite forcing 20 turnovers from Limoges, Milan suffered from a pronounced disadvantage of 25 to 8 in assists and poor 4-for-25 (16%) three-point shooting. A left hook by Traore put the hosts on the scoreboard first, while Gentile and Gani Lawal both went to the free throw line for Milan's first lead, 2-4. Traore tied it up with a jumper and Yakhouba Diawara got a goal-tended basket on his first shot. Diawara then added a baseline jumper at 8-4 and Lawal put back a miss. Boungou-Colo and Charles Jenkins exchanged their teams' first three-pointers for an 11-9 score. 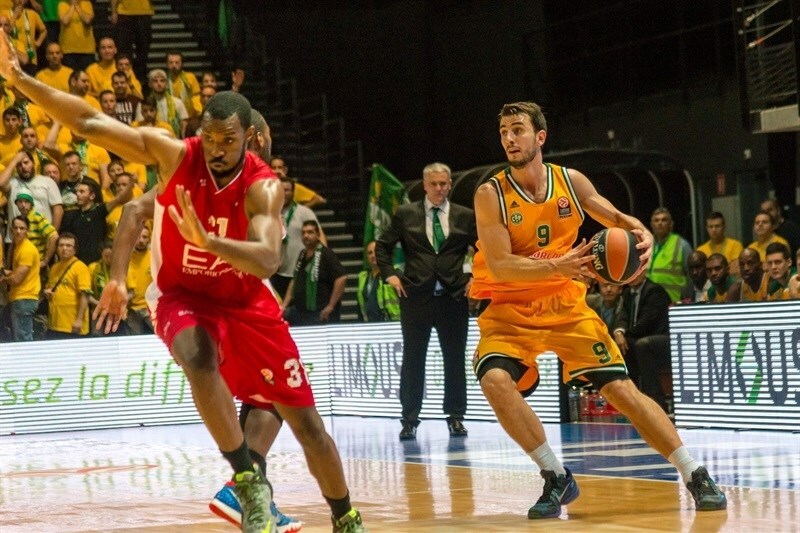 After Traore's free throw, Gentile banked in a two-pointer, and after a timeout, Mark Payne went coast to coast to keep Limoges up 14-11. But Jenkins was hot and hit a two-pointer from the corner and Gentile downed a baseline turnaround for a new MIlan lead 14-15. Frejus Zerbo answered with a foul line jumper and Leo Westermann drilled a catch-and-shoot triple to make it 19-15. Simon announced his arrival with a nifty one-hander from the lane, as did Stanko Barac with a foul-line jumper to make it 19-19. That set up a final shot for Milan, and who else but Gentile took it from inside the arc, beating the first-quarter buzzer for a 19-21 Milan edge. Gentile kept attacking and downed a tough layup to open the second quarter. A fine play by Limoges saw Traore pass to Will Daniels for a baseline dunk, and when Schaffartzik was left open at the arc one play later, he made Milan pay with a go-ahead triple at 24-23. Next, Schaffartzik found Boungou-Colo on the break for what turned into a three-point play. Gentile rebounded at the other end and dunked to cut the difference to 27-25. 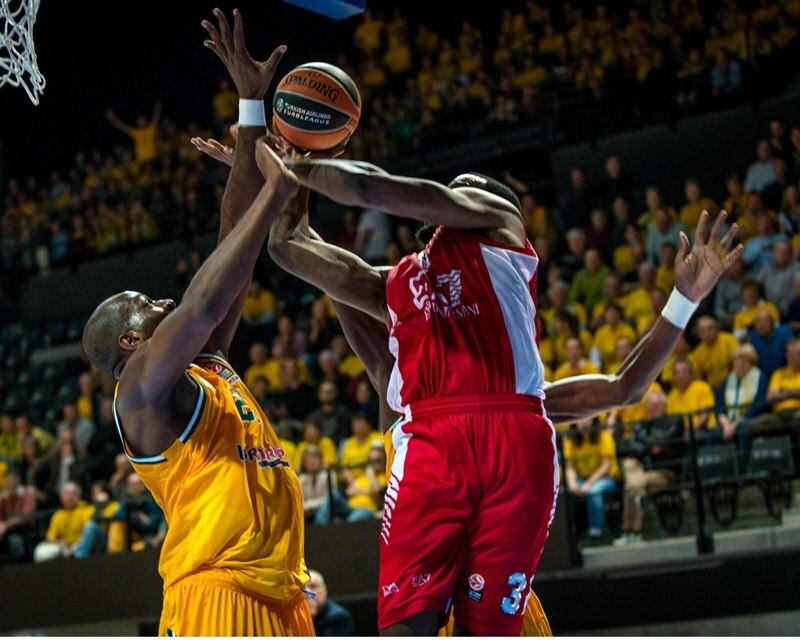 Traore and Barac exchanged two-pointers before Diawara dropped a fade-away shot at 31-27. 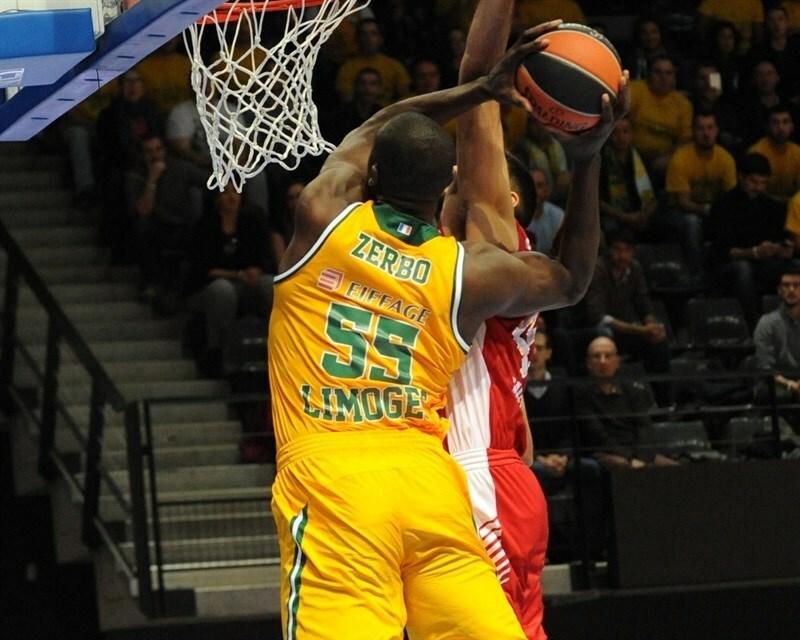 After a short dry spell of scoring, Boungou-Colo struck again from the arc and Limoges had its biggest lead yet, 34-28. But the hosts were not done. Mark Payne's long rebound and triple came next, then Diawara's fastbreak layup at 39-28. Barac got 2 free throws back to get Milan back within single digits, 39-30, at the half. Limoges matched its high lead at 41-30 on a half-opening layup by Traore before Oliver Lafayette reeled it back with a triple for Milan. Traore buried a jumper next, but Lawal answered with an inside basket and Gentile converted a turnover at 43-37. Boungou-Colo got 2 points on a goal-tending call and another on a technical free throw to make it 46-37. 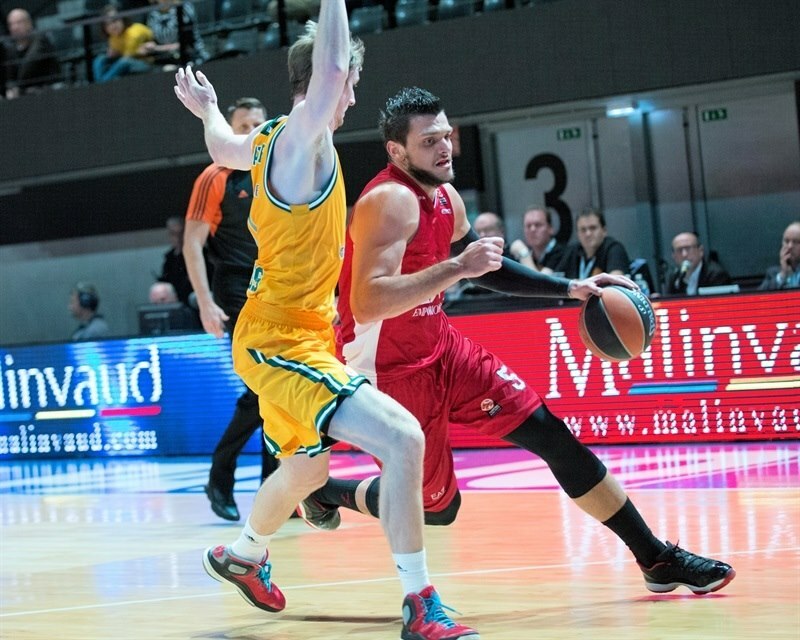 Westermann got the margin back to double-digits from the free throw line, but only until McLean's three-pointer fell for Milan. His free throw after that would cut the difference to 48-41. Boungou-Colo connected with Westermann for a reverse before McLean downed 2 more free throws. Limoges worked the ball to Daniels for one three-pointer, then did the same to Schaffartzik with the result being the biggest lead yet, 56-43. 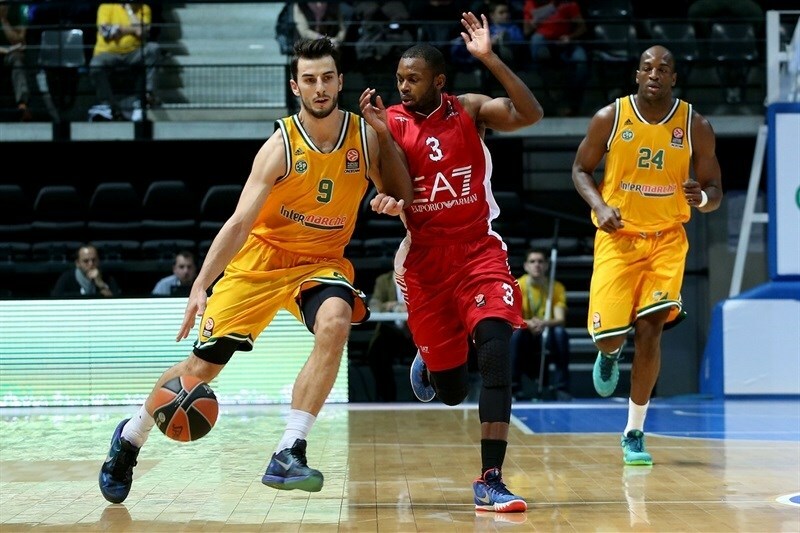 Andrea Cinciarini had the same answer for Milan, and that's how the third quarter ended, with the hosts ahead 56-46. Daniels took up the scoring responsibility for Limoges, shooting off the glass and finishing a pass from Schaffartzik to start the final quarter. 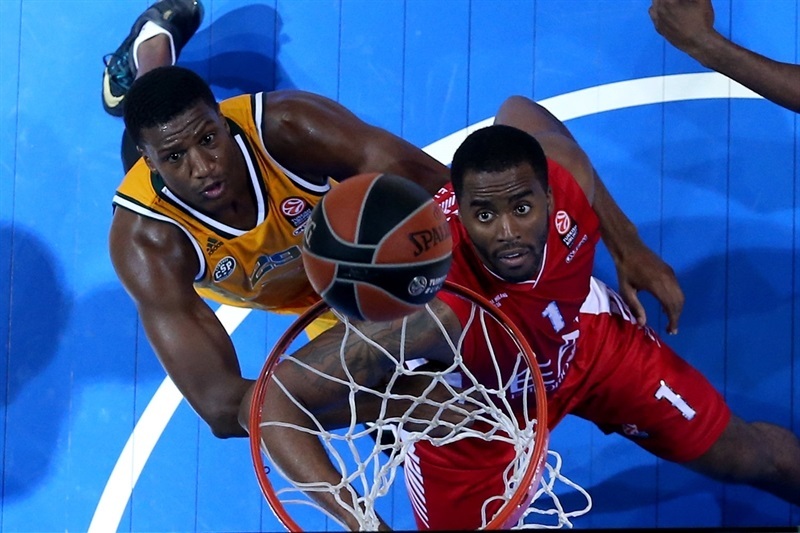 McLean got a fade-away to drop for Milan but Traore answered with a long hook shot at 62-48. Gentile had a sweet touch from the baseline, but Schaffartzik matched it with free throws. Robbie Hummel scored inside on a nice pass from Gentile and then put back and offensive rebound at 64-54 . After Daniels swatted Gentile's shot at one end, Traore found Boungou-Colo for a corner triple, but Simon copied him at the other. Gentile went back to the free throw line to get the visitors within 69-57, but Traore answered with a jumper. 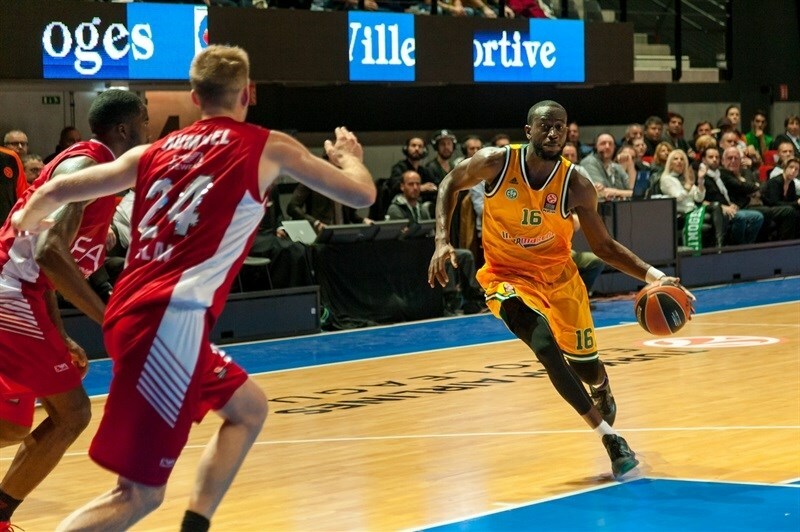 Simon's floater cut the gap to 69-61 going into the final minute, before Boungou-Colo had the final answer, a transition triple that made it 72-61 and guaranteed Limoges its second Group B win.